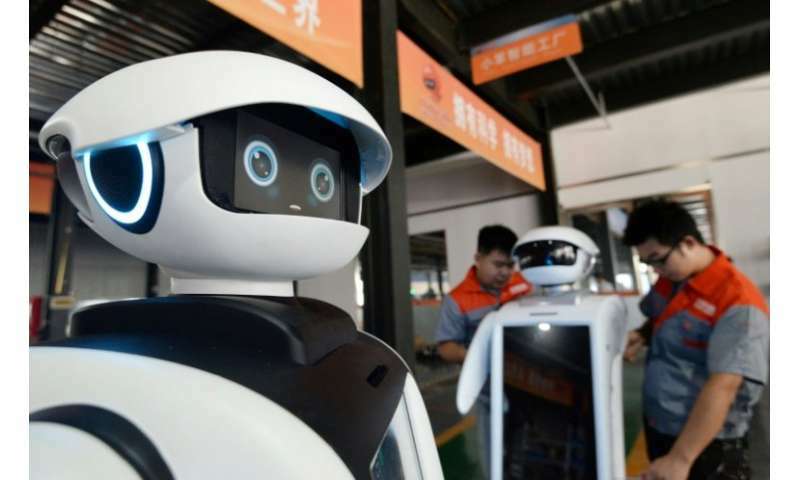 Robots will handle 52 percent of current work tasks by 2025, almost twice as many as now, a World Economic Forum (WEF) study said Monday. The sharp increase could also see a net gain in "new roles" for humans, who will have to revamp skills to keep pace with the "seismic shift" in how we work with machines and computer programmes, the forum estimated. "By 2025 more than half of all current workplace tasks will be performed by machines as opposed to 29 percent today," a statement by the Swiss non-profit organisation said. Simultaneously, rapid changes in machines and algorithms, or computer processes that are designed to solve problems, "could create 133 million new roles in place of 75 million that will be displaced between now and 2022," the group forecast. Jobs that require "human skills" such as sales, marketing and customer service should see demand increase meanwhile, along with e-commerce and social media. A major challenge will be to retrain workers, who will themselves be pressed to update skills especially in the areas of "creativity, critical thinking and persuasion", the study found. Governments were advised meanwhile to prepare safety nets for workers and communities threatened by what the WEF concluded would be "a significant shift" in the quality and permanency of the new jobs.